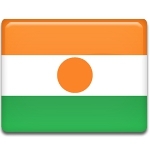 Niger became a republic when it was a French colonial possession. Following the establishment of the Fifth Republic in France and the introduction of the constitutional changes, the French Union was replaced by the French Community. France became a federation of states with their own self-government, and Niger was one of them. On December 18, Niger officially became a semi-autonomous republic within the French Community. Hamani Diori became president of the country's provisional government. When Niger achieved full independence from France in 1960, Diori was elected the first President of the Republic of Niger. Since 1958, December 18 has been widely commemorated in Niger as a historic anniversary. It was officially declared a national holiday in 2005. On this day, all government offices and many businesses are closed. Republic Day is celebrated with public speeches, official ceremonies, cultural events etc. Each year, one of the regional capitals is selected as the main center of celebrations.